More than eighty percent of the orders President Vladimir Putin signed the day of his inauguration three years ago have been implemented on time, according to a statement published Thursday on the Russian government’s official website. The government claimed that it had fulfilled 81.5 percent of the 168 presidential orders it had been mandated to complete by Thursday, the third anniversary of Putin’s most recent inauguration. That day, Putin signed the so-called “May Orders,” a series of campaign promises he had made ahead of his 2012 election. Putin’s 2012 decrees contain 218 orders, mostly linked to the country’s long-term economic and social policies, with deadlines by which they should be implemented. Among the objectives included in the May Orders were the creation of 25 million jobs in the high-tech sector by 2020, a 200-percent increase in doctors’ average salaries by 2018 and the addition of 250,000 contract servicemen to the Russian army by 2017. The government is currently working to implement 81 of Putin’s orders, according to the statement. Government officials are expected to report to the president on 19 of these decrees by the end of the year. The government bodies most active in implementing the orders are the economic development, education and labor ministries, the statement said. Russia’s recent economic woes have put Putin’s May Orders at the forefront of domestic politics. 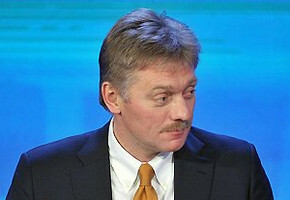 Kremlin spokesman Dmitry Peskov said in March that changing circumstances could lead to the orders being adjusted, but that their implementation would remain a priority, TASS news agency reported at the time. A 2013 video leaked by sensationalist channel LifeNews showed Putin threatening to fire regional governors and other government officials for their lackluster implementation of his May Orders.